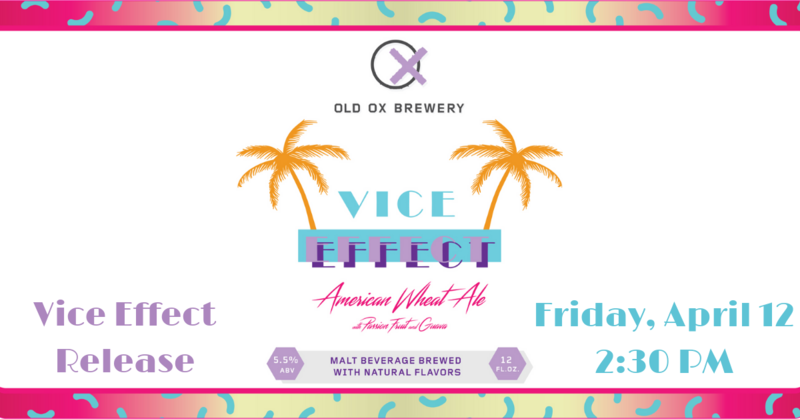 Vice Effect is an American Wheat Ale with Passion Fruit and Guava. This bright, tropical concoction will have you rolling the sleeves and padding the shoulders of your pastel colored suit jackets as you try to solve the mystery of it’s deliciousness. Sonny and Rico would be proud! Come out on Friday, April 12 at 2:30 PM for the release of Vice Effect. Available on draft and in 16 oz. 4-packs. Parallel Food Truck will be here as well as music from Panhandle Dan starting at 6:30 PM.